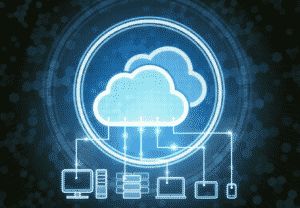 Adoption is driving huge growth for cloud IT vendors. However, an article at HIT Infrastructure shows that, in spite of the many advantages of cloud-hosted Healthcare computing — increased flexibility as well as less expensive scale when more space is needed (among other strengths) — many healthcare organizations are still weighing their options. IT departments who keep full control over in-house data many times still feel a lack of trust in cloud service providers to provide a fully HIPAA compliant PHI environment. IT administrators play the “full control over updates as well as redundancy and maintenance plans” card. ClearSky Data CEO Ellen Rubin told HITInfratructure.com that healthcare organizations struggle to determine which data sets belong in the cloud and which are better off remaining on-premises. The drawback of on-premises applications is that it takes a lot of time and expertise to manage and maintain an on-premises server. The organization also takes on all security protocols, maintenance, and hardware. Staff must be hired to maintain the hardware and ongoing support will become expensive. Then there are licenses for more and more deployed apps. Open source platforms are out there, but they require customization and more IT staff to manage and maintain. Cloud-based applications are much more flexible than their on-premises counterparts, which means it’s much less expensive to scale up when more space is needed. Organizations also have the opportunity to scale their cloud infrastructure back down if the space is no longer needed. This prevents overspending on hardware and investing in large data center gear. OrboGraph’s Healthcare Payments Automation Center (HPAC) is a good example of how a cloud-hosted platform can complement in-house processing by processing scanned images of remittances and payments on the Amazon cloud. Once converted to electronic data, the EDI 835 files are shipped back to the in-house HIS/PM systems for posting. If you haven’t already, take a look at how OrboAccess complements in-house healthcare payments.